History shows us time and again: the vital lever of major social change, from decolonization to civil rights to environmental movements, has been grassroots organizing. Yet, even today, grassroots efforts often remain underfunded and overlooked. This missed opportunity is huge, especially in regards to one of the greatest and most pressing challenges of our age: climate change. 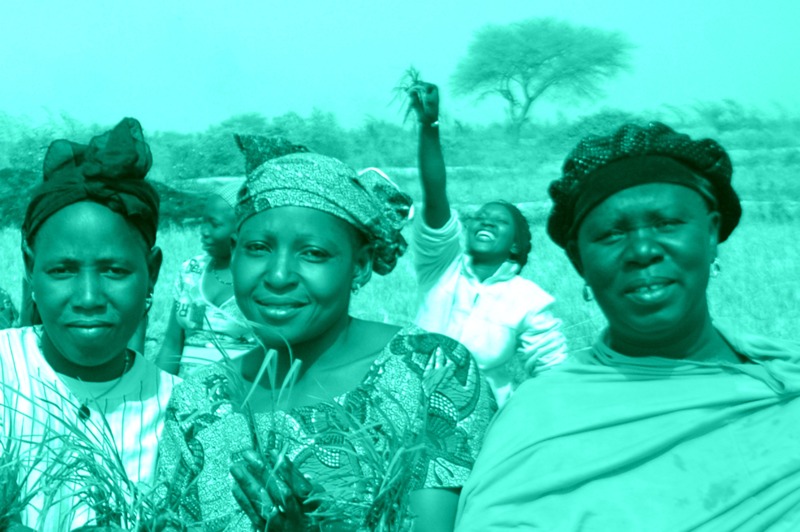 Effective grassroots organizations and movements around the world are busy protecting communities’ rights to water, soil, air, seeds, food, forests, livestock, and land. And they urgently need our solidarity and support. So this year we helped launch the Grassroots Climate Solutions Fund (now the CLIMA Fund)—a unique collaborative fund with Global Greengrants Fund, Urgent Action Fund, and Grassroots International—to reach grassroots organizations and social movements in over 100 countries around the world! The global climate movement can learn from solutions being developed by the very people whose daily lives are impacted most by climate change. For over three decades, our four organizations’ grantmaking practices have looked to the wisdom and strength of local people and movements to tackle injustices. We don’t invest in solutions that are imported; rather we invest in solutions that are developed in response to listening to people on the ground. For over three decades, we’ve seen how organizing strategies that include indigenous peoples, women, youth, and diverse grassroots groups across borders and boundaries can spark powerful social change. Climate change makes focusing on one issue at a time a luxury. Grassroots solutions to climate change reflect social, political, geographic, and economic realities simultaneously. For example, to counter environmental degradation in Haiti, the grassroots organization Peasant Movement of Papaye has to address all aspects of people’s lives that depend on degraded and deforested farmlands. Their solutions they advance in the face of Haiti’s changing climate and agricultural conditions come from a deep understanding of how people cope and the social fabric surrounding them. Time and again, grassroots groups have predicted the precise infrastructural collapses and hardest-hit areas in natural disasters missed by top-down efforts. In Guatemala City, for example, our local partner ISMUGUA works with a network of 22 community organizations developing evacuation plans and family emergency plans for recurring natural disasters. Since communities are already living in highly vulnerable conditions, ISMUGUA is also strengthening their efforts in regards to housing rights, education,and health to mitigate the effects of climate change. They’ve initiated a community-led advocacy response in the form of a national housing law that addresses the right to dignified, healthy and adequate housing, as part of a long-term recovery strategy to disasters. People, even under the direst of circumstances, can and do pull together. In Rajasthan, for example, our local partner Sahyog Sansthan works in over 100 indigenous communities in an already semi-arid part of India where rainfall is becoming less and less predictable. Sahyog works with local communities to improve crop yields and, more importantly, they work together to manage communal lands more equitably and efficiently. They reach thousands of women and have inspired local government agencies to replicate its methods. Scale is not just about reach, but about quality and effectiveness. For example, in South Africa, our partner Biowatch promotes seed saving and agroecology practices that enhance resilience to climate change. The results? Long-term food security for more than 500 rural farmers and their families, while also preserving biodiversity. The CLIMA (Climate Leaders In Movement Action) Fund is unprecedented in that it provides a continuum of support to people fighting climate change. What does this support look like in action? It means we can award a security grant in as little as 12 hours to an activist whose life or family has been threatened. It means we can provide a promising grassroots movement with its first infusion of outside resource. And it means we can sustain established organizations with multi-year support and capacity-building. The global climate movement has so much to learn from grassroots solutions. But those holding the purse-strings often dismiss grassroots solutions as quaint “feel-good” projects on the sidelines. They fail to recognize the technical prowess and complex innovation at the core of effective grassroots efforts. If global leaders and funders continue to only invest in short-term projects led by people outside communities, or market-based responses to climate change like carbon markets, they risk only protecting the special interests of corporations. They risk not recognizing grassroots innovators as rightful peers. It’s a risk we can’t afford to take. Imagine if we supported hundreds—and even thousands—of effective grassroots climate solutions around the world to thrive, lead, and link together? It would make so much more progress possible. The time to invest in grassroots efforts is now. We urgently need to recognize and support global grassroots innovators of climate solutions.